It is possible to deliver applications remotely to users via a solution such as Citrix or Microsoft RemoteApp (part of their Remote Desktop solution). This has the advantage of only delivering the application rather than the whole desktop to the user. The user isn't even necessarily aware that the application is running remotely, as it will appear like any locally installed application when running. An example of the type of application delivered in this way might be Microsoft Office. If, however, the Citrix or RemoteApp environment hasn't been set up properly, then this can lead to security problems such as arbitrary file upload and running commands remotely. I'm not going to look at macro security, even though this can lead to complete compromise of a system. 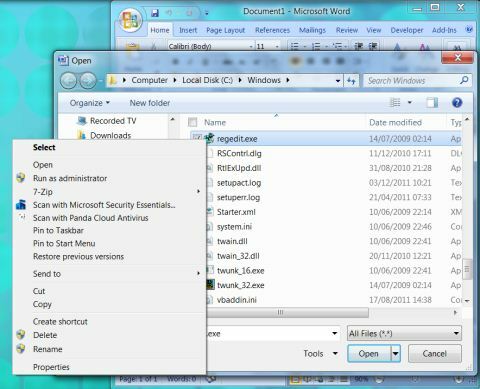 However, what some people are not aware of is that you can upload files through the Open and Save As dialogs in Office. These files can then be executed on the remote system through the same dialogs. The figure below shows the options in the Open dialog of Word, with All Files (*. *) selected as the file type and having navigated into the Windows directory. Selecting either Open or, in this case, Run as administrator will execute the application. The same could be done with a batch file or script file after first uploading it by copying and pasting into this same dialog. Arbitrary files can be uploaded to a remote system and executed in this way. What if you don't have direct access to Office applications? If they are installed on the system, you may still be able to exploit this. Consider Internet Explorer for instance. If this application is delivered remotely and Office is installed on the system, then you will probably have the option to edit the page in Office as the screenshot below shows, with the 'Export to Microsoft Excel' option in the context menu. 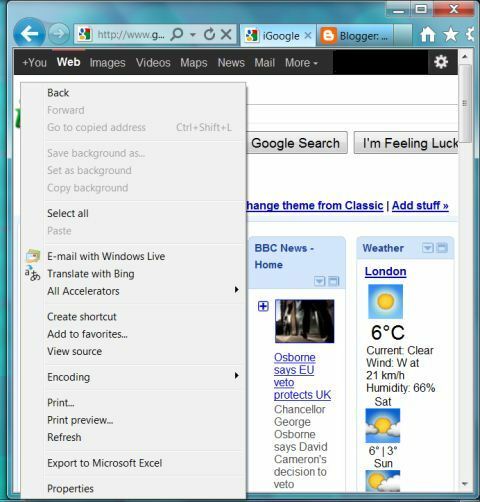 In a remote application environment, this will open a new window to allow you to interact with the new application. You can then upload your file and execute it as before. If you are deploying remote applications, you will have to think carefully about what you are delivering and secure the deployment properly with group policies, etc., to make sure that you do not fall foul of such simple tricks.